If you are in Bangkok, looking for Thai Food is super easy as everywhere is selling it, even by the road side. But to find nice Thai Food that suit to Malaysian taste (my taste) is not quite easy. Either you will find the Tom Yum soup to be super spicy or super sour or tasteless. 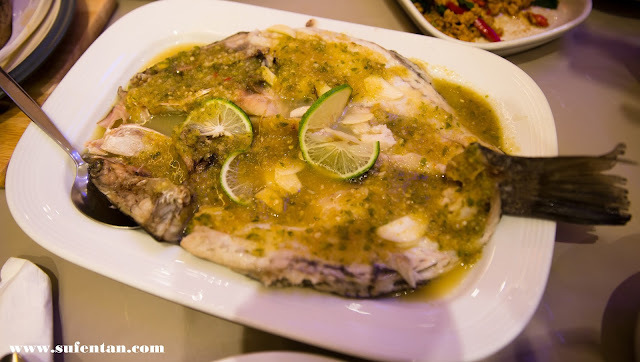 Today I would like to recommend you a restaurant in Central World Bangkok that we really like especially their Spicy Lime Steam Fish (one of the famous dish in Thailand). In Central World, there is a famous restaurant named Nara that you can try as well but normally their waiting period is long, can be more than 40 mins and people still crazily waiting for it. I will review on Nara on my next post soon. 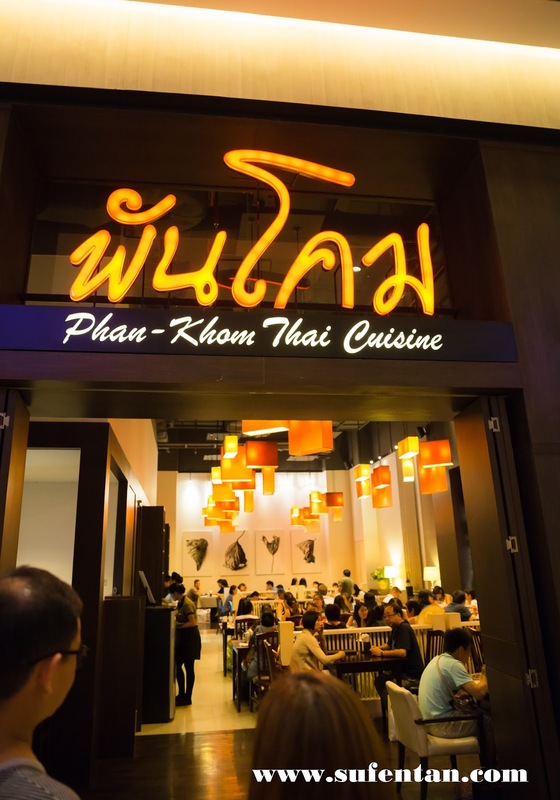 Phan Khom Thai Cuisine is actually located at 7th Floor of Central World and also just few shops away from Nara. The layout of the restaurant is quite simple and nice with the orange laterns. 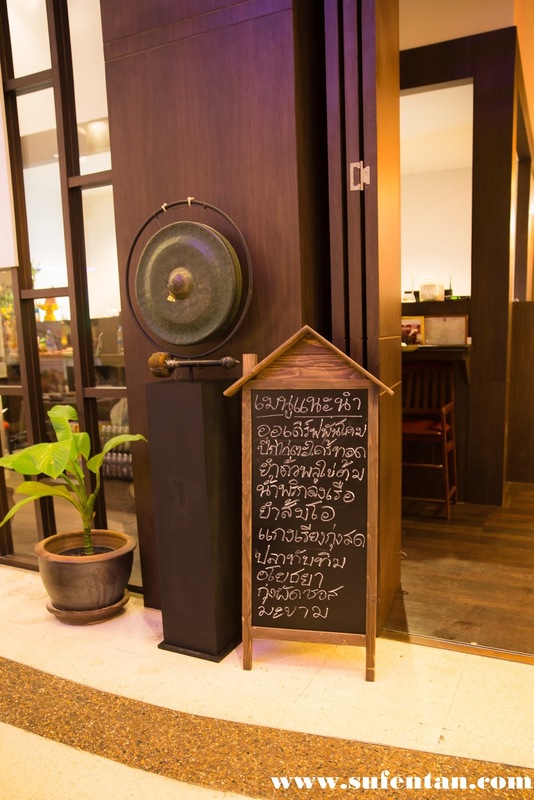 Most of the writing is in Thai but no worry, menu do come in English explanation. Let's see what we have ordered! 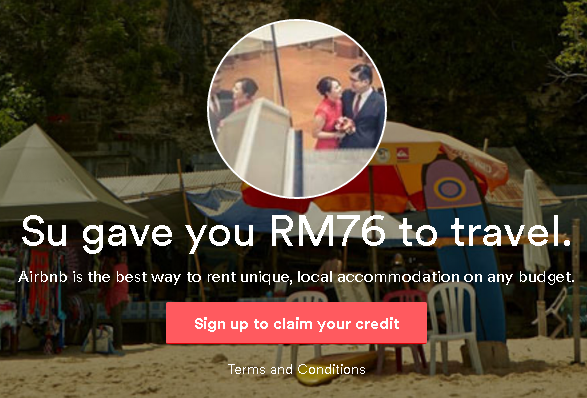 We both love the coconut, although the price is a bit pricey but it worth it. This is because the coconut is cold, I mean super cold! Even the juice inside is cold. 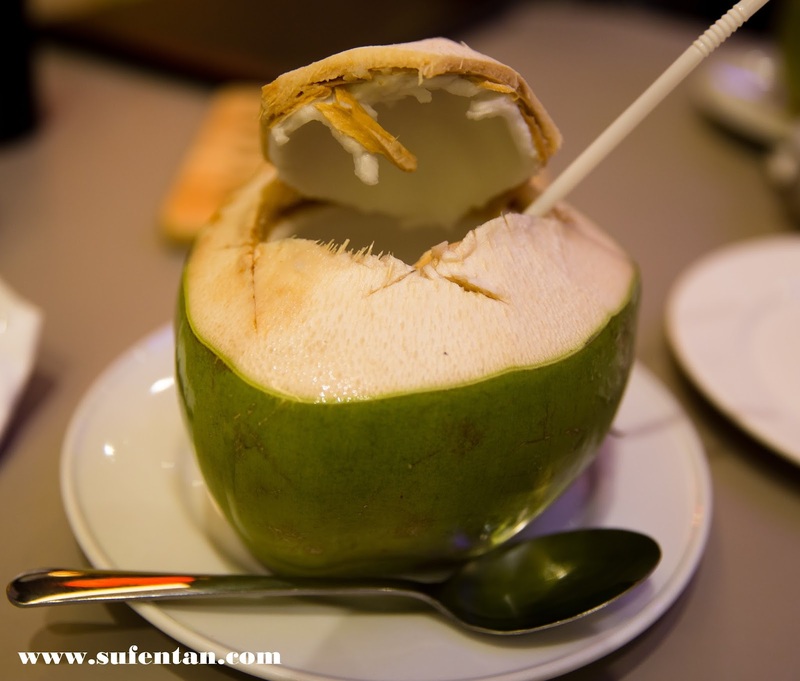 So far this is the only restaurant that served really really cold coconut which is what we love after a hot and humid day in Bangkok. 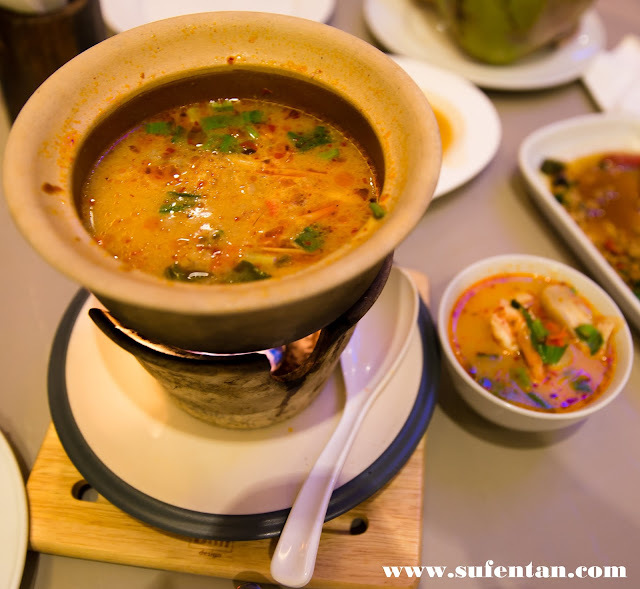 Spicy Tom Yum Soup is what you need to order when you are in Bangkok. We ordered the seafood tom yum soup which is what they call the Tom Yum Goong. The spicy level is still acceptable but comparing to KL standard it is a bit way over. Overall taste was nice. This is the highlight that I would like to recommend. The spicy lime sauce is the best we ever had so far after a few trip to Bangkok. I love their effort in putting that much of ingredients in cooking the sauce, it really brings out the freshness of the fish. If you are a person who like strong flavour like I do, this is definitely your type of fish. This is another dish that I love to order whenever I'm in a Thai restaurant. This dish was recommended by a waiter in a food stall during our trip in Phuket. I started to love this dish after that. 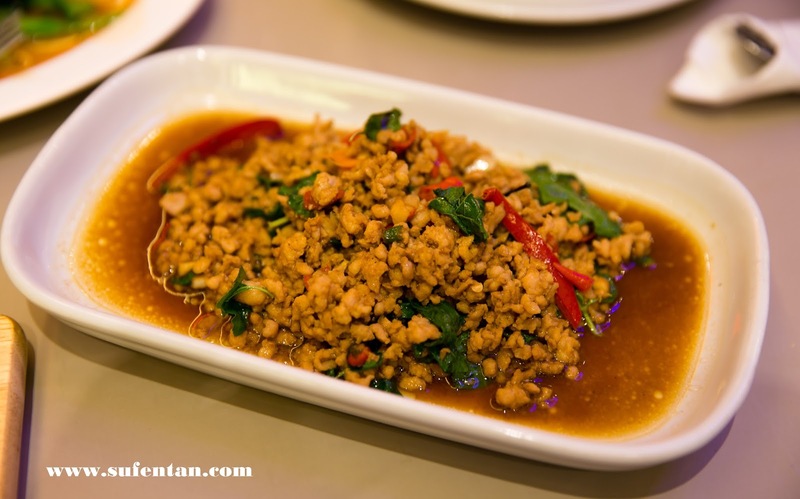 The most important is the sauce their use to cook this dish, and Phan Khom Thai Cuisine did it quite well. I found that a lot of Thai restaurant in Bangkok will definitely have this dish in their menu. I guess after ordering all the spicy soup and spicy dishes, you need a non-spicy dish like vegetable to neutralise your taste bud and stomach. 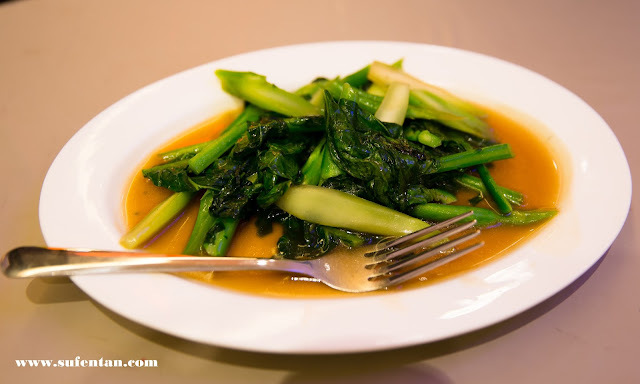 Although it doesn't taste like the Chinese style stir fried Kailan, but the taste is still acceptable for a plate of stir fried vegetable. I personally like their food especially the steamed fish and coconut. Overall service is fine, food serving time is fast too, price wise is reasonable (lower than Nara too) and overall food is good. 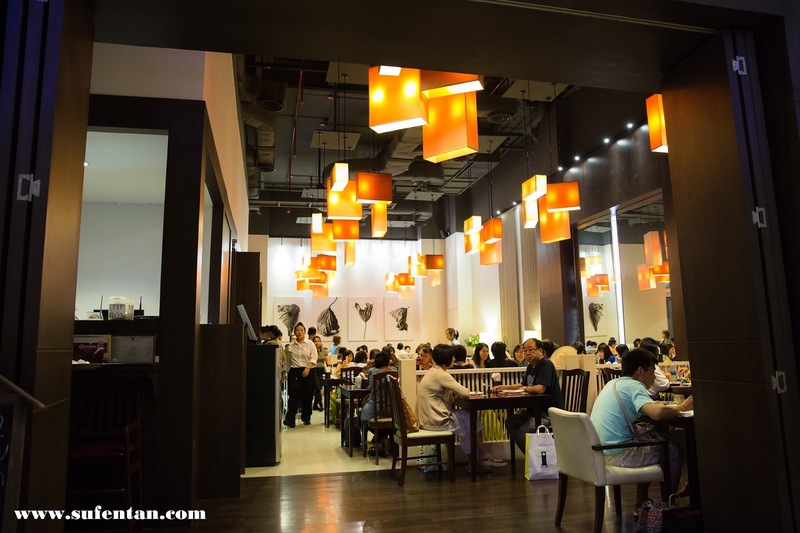 If you planning your shopping in Central World, give it a try on this restaurant.